Welcome to Brookswood Dental Group, with Dr. Antoine Do. 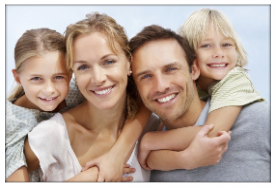 We would like to introduce you to our dedicated family dental practice where preventative and restorative dental procedures take place in a relaxing, warm and friendly atmosphere. Your smile is important to us, and we want you to be happy with your dental experience, after all, our mission is to cater to you, to your dental needs, and to your future dental health. With efficiency, dependability, and a gentle touch, Dr. Do and his entire staff work to maintain the excellent dental health you may already have. In addition, we strive to rectify any issues you may be experiencing. Taking into account the many ideas that patients have about visiting the dentist, Brookswood Dental Group is well experienced in making our patients feel calm and at home. New patients and families are always welcome, Brookswood Dental Group invites you to walk through our website to familiarize yourself with Dr. Antoine Do and his practice. We want you to be informed and confident before making a decision on which dentist to choose for your primary dental care. It's helpful to know that we accept and direct-bill most insurance plans. Call today for more information or to make an appointment.